Underfire: The Untold Story of Pfc. Tony Vaccaro ((2016), 71 min.Max Lewkowicz, dir.) chronicles the life of a man who played two roles during World War II, both involving great personal risk: He was a combat infantryman and photographer who made roughly 8,000 photographs of the war. 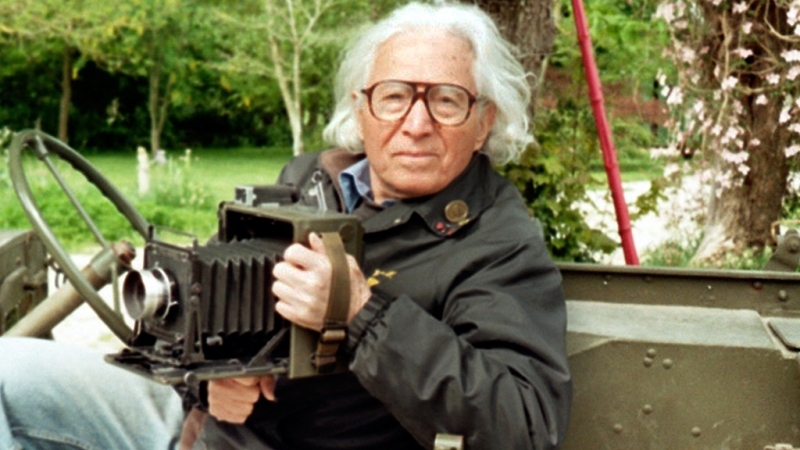 Director Max Lewkowicz visits European locations where Tony Vaccaro shot some of his most powerful images, tracing Vaccaro’s evolution from a young GI eager to record the war, to an elderly man increasingly horrified at humanity’s capacity for violence and who vowed to never take another war photo. Through interviews with Pulitzer Prize­winning photographers and with Vaccaro himself, this intimate film delves into issues of witnessing and recording conflict, of how photography defines the way wars are perceived by the public, and of the sheer difficulty of surviving while taking photos in an active war zone. Post-screening discussion with Tony Vaccaro and the director led by Evelyn Burg, LaGuardia Community College, CUNY.